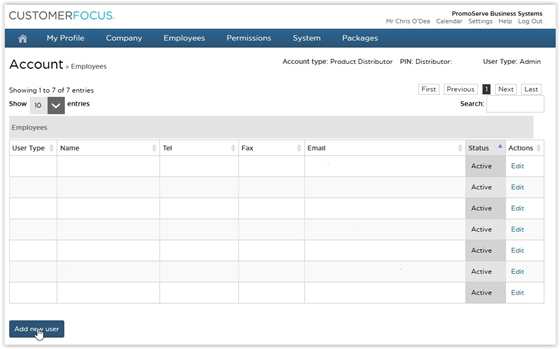 This guide will help you to add new users to your CF Ultimate or Store solution. Note first that in order to do this you must be logged on as a user with administrative privileges. 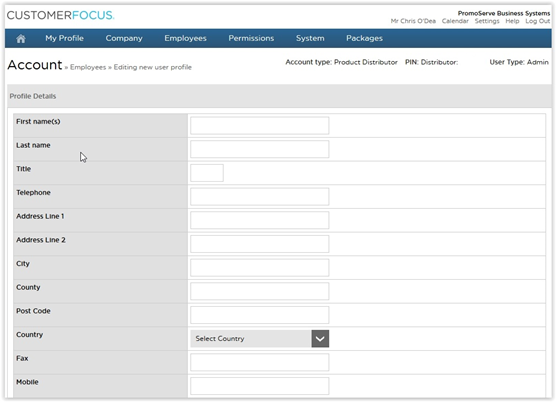 First, once you’ve logged into your Customer Focus account, you need to navigate to the ‘settings’ area of the site, found in the top-right corner of the home screen. You will note that when the settings screen loaded up, the options along the top navigation bar changed. As a general rule, most administrative tasks are done from this settings bar. Once there, scroll to the bottom of the list of users. There should be an ‘Add New User’ option towards the bottom left of the screen. This will bring up the add new user form. 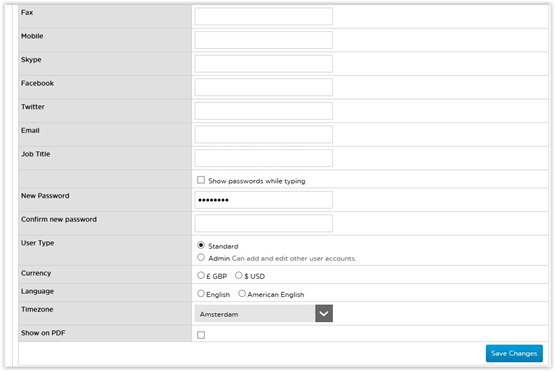 You’ll know you’re in the right place because the form will look exactly the same as the ‘change account settings’ form, only this one will be blank. Populate these fields with the new user’s details. When you’re done, click on the ‘save changes’ button at the bottom of the screen.